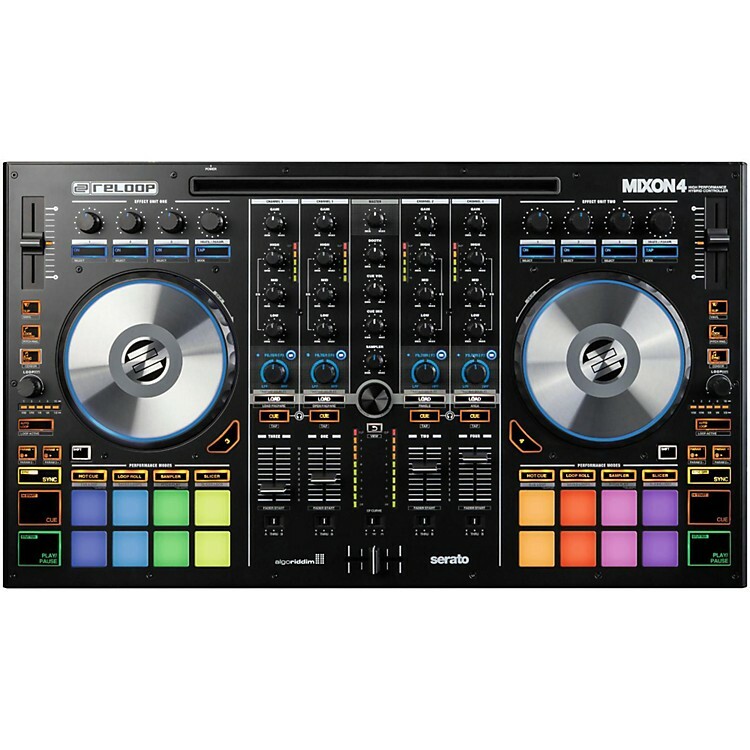 DJ controller for multiple platforms. In collaboration with Serato and Algoriddim, Reloop presents the first performance controller that fuses the two DJ software suites with a multi-platform concept. Empower your DJ set with the world's leading DJ software, Serato DJ (Mac/PC) and explore new innovative mixing tools and the latest expansion packs. With Algoriddim djay PRO (iOS/MacOS), the music is at your fingertips thanks to its integration with popular streaming service Spotify*, giving you instant access to more than 30 million tracks in a powerful and award-winning app. With the 16 RGB, velocity-sensitive drum pads you can trigger powerful modes as Hot Cue, Loop Roll, Sampler, Slicer, Flip* and Cue & Slicer Loop modes. The multi-colored, backlit LED pads give you instant feedback about the active mode and reflect the color-coded cue points in the software. With SLIP mode activated, the playing track can be manipulated without interrupting the flow of the music. The track position continues in the background, jumping to its current position once the manipulation is over. You can also set perfect auto loops with the push of a button in the dedicated LOOP section. With the Macro FX function it is possible to creatively combine classic filters with an additionally assignable effect per channel, allowing you to create dramatic build-ups, smooth breaks or effect-loaded transitions using only one control knob. Any platform, any software. Order today.